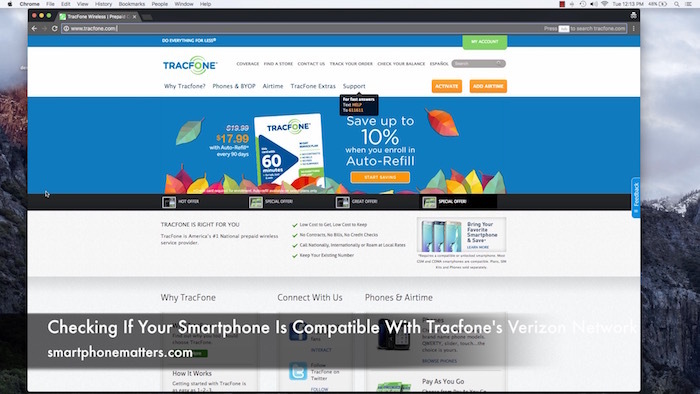 TracFone uses your zip code to determine if they offer service on the Verizon network in your area. Your smartphone’s IMEI/MEID/ESN is a serial number. You can find this number by dialing *#06# on your phone’s keyboard and the number will be displayed on the screen. Its a long number, so make sure you enter it carefully. 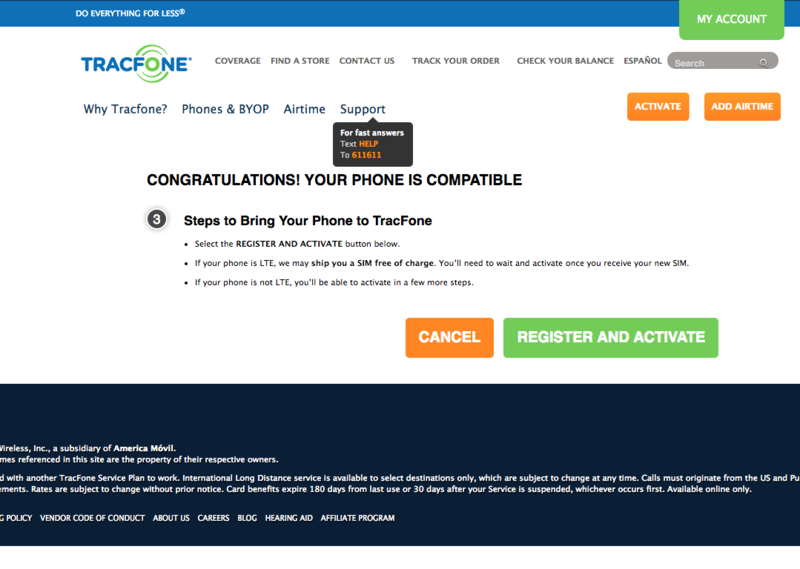 If you see the message above your phone is compatible and you can continue by clicking Register And Activate. The screen also lists the next steps. Select the REGISTER AND ACTIVATE button below. If your phone is LTE, we may ship you a SIM free of charge. You’ll need to wait and activate once you receive your new SIM. If your phone is not LTE, you’ll be able to activate in a few more steps. 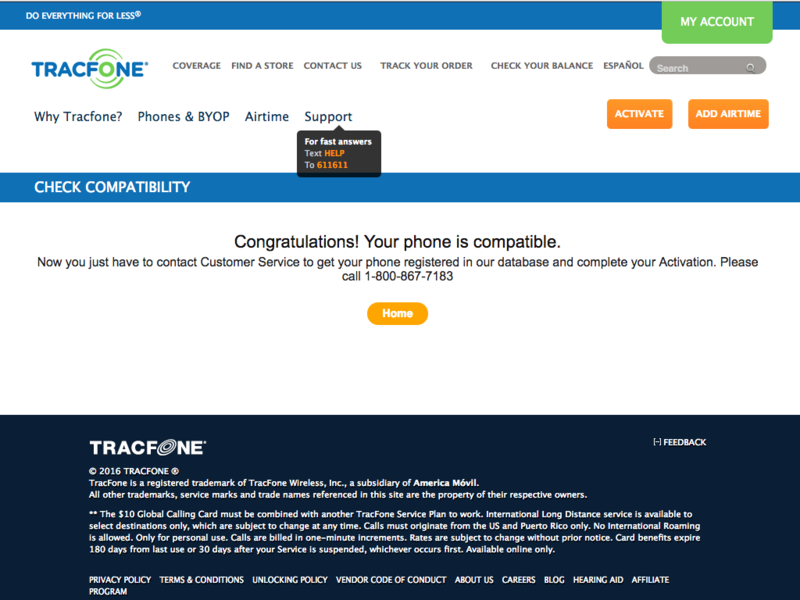 I saw this message when I entered the IMEI of an AT&T smartphone that I know isn’t compatible with TracFone. 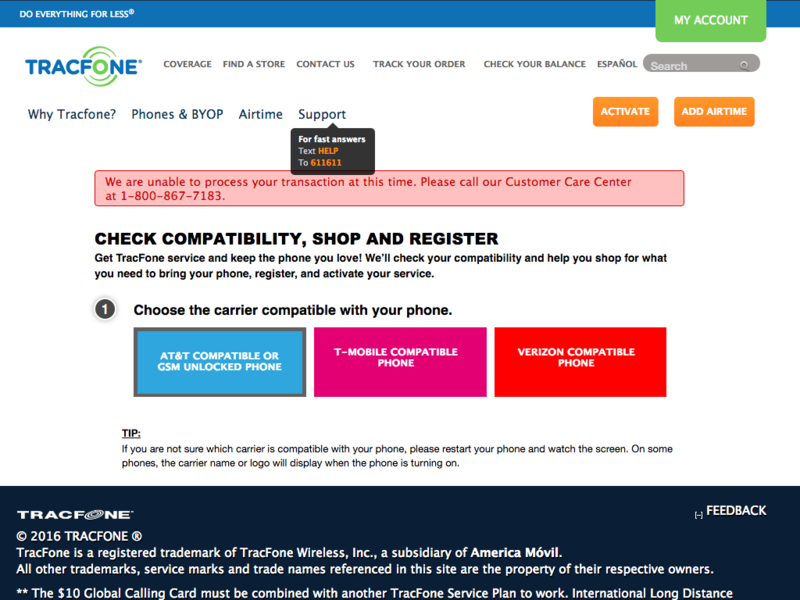 Your phone however may be compatible with their AT&T or T-Mobile networks. I did not call the number but my guess is support will help you figure out which network your phone is compatible with. If you need to be on the Verizon network because that is the only network with coverage, you may need to get a different phone. The IMEI of my phone is XXXXXXXX. Can you help me? Preferably I’d like to complete the registration and activation process online. I have a ZTE trafone # Z575167040MT and I have forgot my password and used it …how can I retrieve it . I dont know. If you mean the PIN to your phone, you may need to reset the phone.